Made in America – Our composting toilet is a great solution for bunkers. 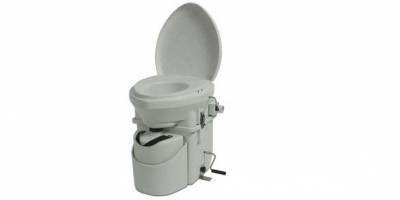 Composting toilets work using peat moss to break down the waste. 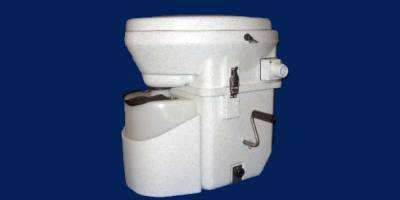 Most importantly, this toilet doesn’t have the foul odors associated with all other holding tank systems. The low volume air circulation fan built into the head provides the added benefit of recycling the air in your bathroom which helps make your whole environment smell better. Its rugged design and materials (all stainless hardware) has been proven to be extremely durable no matter what your environment.